Uber has been the highest-profile player to wade into the flying taxi market. The rideshare company’s Elevate program eyes test markets in Dallas, Los Angeles, and Dubai where new vehicles would start flying within a few years. 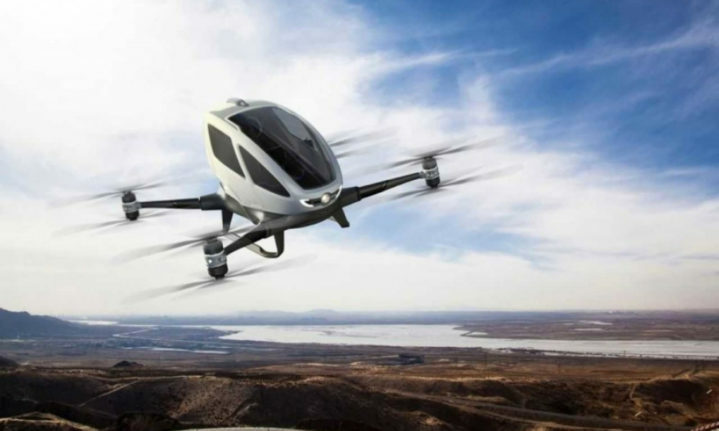 Uber wants these new flying vehicles to be electric, mass produced, capable of vertical takeoff and landing (VTOL), and ubiquitous enough to support 1,000 takeoffs and landings per hour from any one vertiport. There are simply not enough pilots to scale up to that level, so the aircraft must one day fly autonomously. “We also believe that in the long-term, VTOLs will be an affordable form of daily transportation for the masses, even less expensive than owning a car,” Uber says. For years now, aerospace firms have been engineering the kinds of drones and rotorcraft that could be adapted for the self-flying taxi role. But no one has ever made the kind of vertiport where these flying taxis would roost. To crack this problem, Uber asked for submissions from architects to envision what the ground infrastructure would look like. There are more than bragging rights at stake here. The winning firms would have a leg up on building future vertiports, and there could be plenty of them on the way. The global architecture firm Corgan responded to the call, creating a “Mega Skyport” that fit Uber’s criteria and the firm’s own ideas about future urban design. That starts with their proposed locations for vertiports: straddling existing roadways. “Because we are putting these in areas with dense urban landscapes, we can connect what highways have divided,” says Corgan architect Samantha Flores. These new skyports are designed to have lots of square footage but small footprints on the ground. That idea led to the 540-foot-tall bridge design that Corgan envisions. The Mega Skyport is not like the vertiports that exist today, which are little more than concrete pads with limited space and amenities. Instead, they are urban centers designed to lure people with stores, restaurants, venues, and possibly housing. Corgan proposes using the skyport space as a “community connection” where people who aren’t even flying can visit to attend music festivals, art shows, or a sprawling zoo. It would serve as a hub for public transportation including bullet trains, as well as roads that will ferry people to the skyport. There is, of course, a place for Uber cars (with or without drivers) to drop off passengers. Nowhere is the design dance more delicate than figuring out the movement of the flying taxis from landing to recharging to passenger pickup. Corgan proposes various ideas on moving the aircraft, either under their own power, moved with an uncrewed tug vehicle, or even a moving surface like those moving walkways you see at airports. The company determined that “autonomous movement…could significantly reduce movement areas and staging separation requirements on the flight deck.” It’s another example of how smart VTOLs enables their widespread adoption.